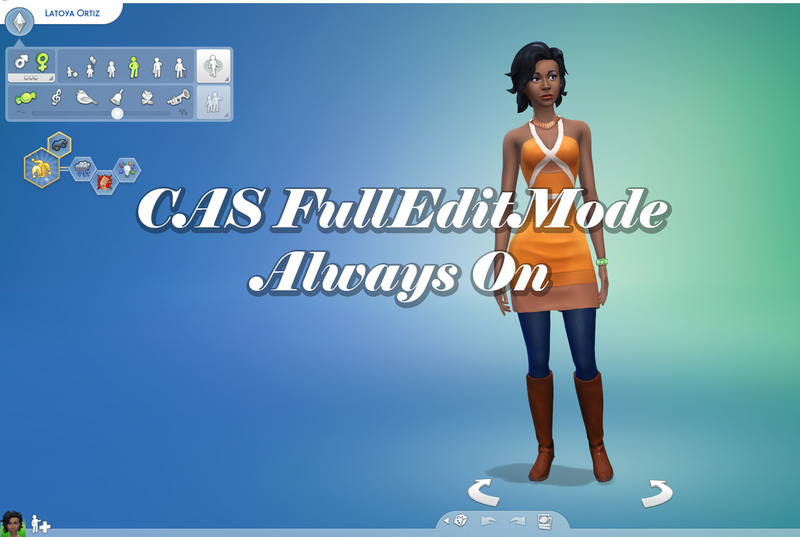 This mod is fairly straight-forward, it turns on cas.fulleditmode for you automatically so that you'll never have to enter fulleditmode before opening CAS. This saves you from having to re-enter it every time you travel, switch households, or return from CAS. This pairs nicely with my Always TestingCheats True mod, which you can get from my cheat wiki or from MTS. Simply open the download and copy the .ts4script file to your mods folder. Once installed, just use cas as you would normally and the full edit mode will always be unlocked.